Made of heavy duty steel and covered by rust-resistant coating, this clamp lock is quite durable, reliable and weather-resistant. Soft rubber is wrapped around the clamp which prevents scratch or damage on wheels or rims. 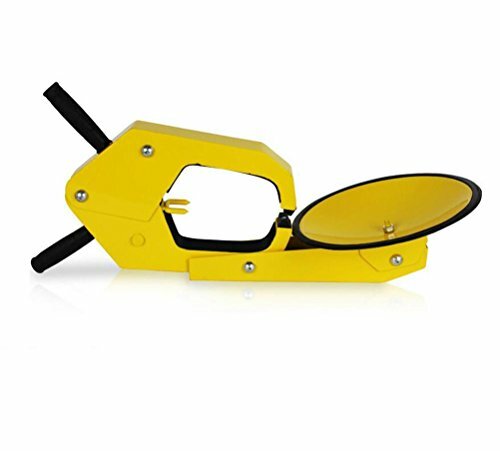 Universal use for cars, this powerful anti-theft wheel tire clamp will be the bodyguard of your trailer, car, SUV, ATV, RV. It is designed to fit on most standard size tires. Easy to use, you just need to gently push down the key hole for locking it up. If you have any questions about this product by JINGBO, contact us by completing and submitting the form below. If you are looking for a specif part number, please include it with your message.